Home > FAQs > Global > Signing Up for Service > Glossary > What is electricity and natural gas deregulation? 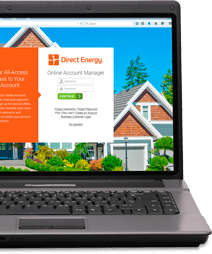 Historically, your natural gas and electricity were supplied and delivered to you exclusively by the local utility company for your area, also known as the Local Distribution Company (LDC). The energy industry across the country started moving towards deregulation in the mid-1980's, giving you the power to choose an energy service provider. Until this time, you had no ability to choose a supplier or a pricing plan that fit your needs. Deregulation un-bundled the supply and delivery portions, allowing competition. Today you can buy natural gas and electricity at a competitive price from the supplier of your choice. Your utility company will continue to deliver your energy; maintain pipes, lines, and wires; read your meter; and respond to any emergencies. The power of choice, made possible by energy deregulation, fosters competition and gives you more control than ever.